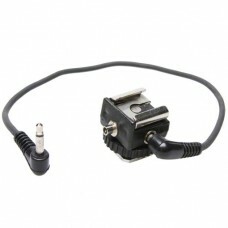 Use your shoe mount flash as ring flash. Simply mount the RoundLight Softbox to the camera, your ready to go. The perfect solution for portrait, product and macro shooting in the studio or on travels. A particularly simple folding mechanism and an extremely uniform illumination make the RoundLight Softbox from walimex pro the ideal Softbox with exactly circular illumination. With its diameter of 46 cm, the RoundLight Softbox is the perfect ring flash diffuser. The large, uniformly illuminated surface completely surrounds your camera lens and produces almost shadow free images. Due to the large dimensions, the light of the shoe mount flash is reflected by an internal diffuser in the RoundLight Softbox in such a smart way, that an absolutely uniform light distribution is ensured. The result is an extremely uniform and soft illumination. When using the RoundLight Softbox as fill light In portrait photography, the circular reflections in the eyes of the model create a very special effect. The RoundLight Softbox can be used with standard or telescopic lenses up to a diameter of 10 cm. It is recommended to use professional portrait lenses (e.g. walimex pro 85mm /1:1.4 IF) with a diameter of up to 10 cm. When using smaller lenses a lens hood would be a great help to keep the RoundLight Softbox in the right position. The RoundLight Softbox can be used with most common camera housings + standard/telescopic lens and shoe mount flash combinations. The RoundLight Softbox allows you to shoot images in horizontal, but also vertical alignment. With its low weight and a professional folding mechanism the RoundLight Softbox is assembled and ready for use within just a few seconds. 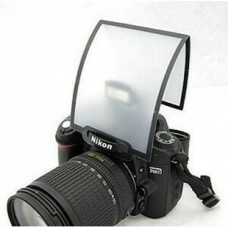 This makes the Softbox well suitable for use in studio as well as for outdoor shootings. Due to its light weight the RoundLight Softbox does not apply any load to your camera or your shoe mount flash. With the small packing dimensions of 23 x 25 cm, the RoundLight Softbox fits into almost any photo bag.